Russia was beset by two revolutions in the early twentieth century, one in 1905, the other in 1917. Between 1904 and 1905, Russia was entangled in a war with Japan, and in this war Russia was unsuccessful. 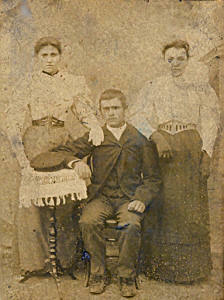 Shown here are a number of Gerber family studio photographs mostly taken during this time, e.g. 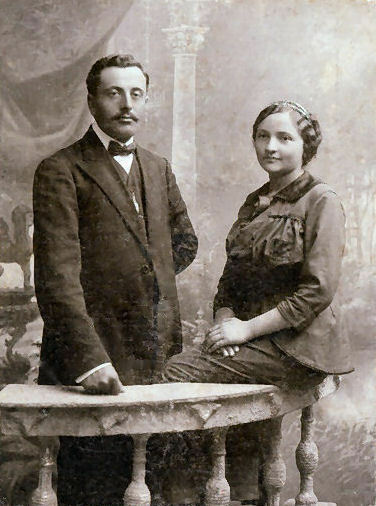 of family members taken during the early twentieth century, during the time of the Russo-Japanese War; of soldiers, mothers, brothers, husbands and their wives. 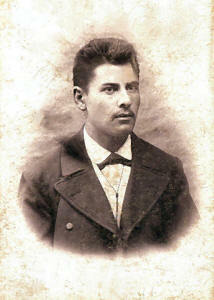 David Gerber (1872-1948) was born in Novopavloka in the Odessa District to Feivel and Bassie (nee Kaletsky). It was in Russia that David married Fenya/Fannie. 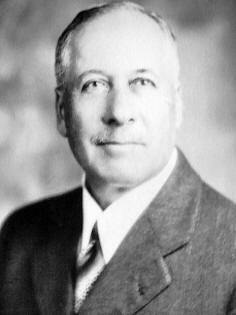 In February 1905 David immigrated to Portland, Maine in the United States. His brother Abraham had already immigrated to the States, and Fannie along with children Morris and Ida, immigrated to the States in 1906. In all David and Fannie had nine children. 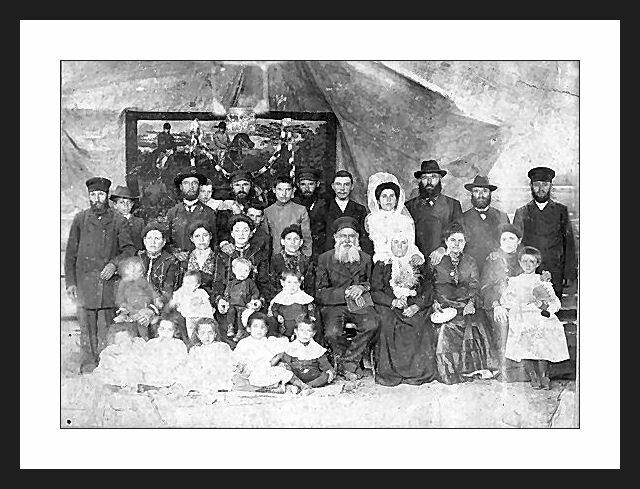 One of David and Abraham's many brothers, Moishe Zev, and his wife, both of whom remained in Russia, had seven children, all sons: Fischel (who married Golda Schechet in Russia before emigrating), Isaac and Aaron, as well as Chaim, Yessel, Yankel and Froika. Aaron, Yankel and Froika are featured below. 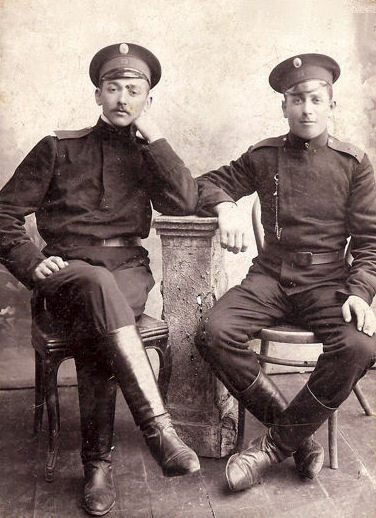 Both Yankel and Froika served in the Russian Army during the 1904-5 Russo-Japanese War. However, they remained in Odessa and never emigrated. David Gerber: photo taken cir 1937. Aaron (Harry) Gerber: photo taken cir 1901. Froika Gerber with Japanese soldier during Russo-Japanese War: photo taken cir 1904-5; Photo Studio of A. Brunshtein; Mogilev-Podolskiy on Kievskaya street; Giving this card for the long and good memory. 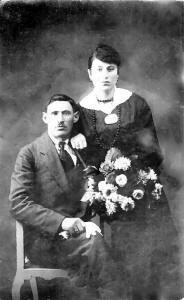 To my brother and sister-in-law Fishel and Golda Gerber, from me Moiseev Gerber, Novopavlovka, April 8, 1914. Froika Gerber with hat: photo taken cir 1904-5; Photo studio “Rembrandt” of A. Brunshteyn, Mogilev-Podolskiy on Kievskaya street. 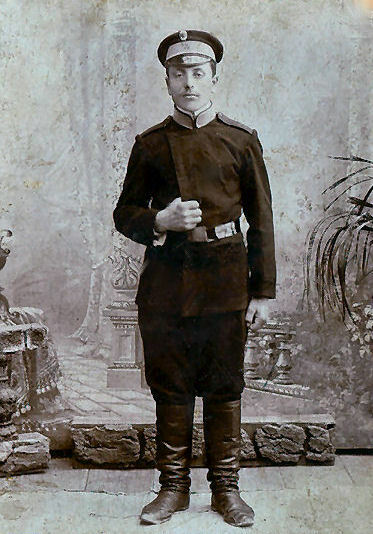 Yankel Gerber in Uniform during Russo-Japanese War: photo taken cir 1904-5. Russian Photography [Studio] in Kamenez-Podlaskiy; [Studio in] house of Fraiberg opposite the town theatre. Yankel Gerber and his Wife, no. 1: undated; Photo studio of P.B. Rozval, Odessa; Rishelievskaya № 28. 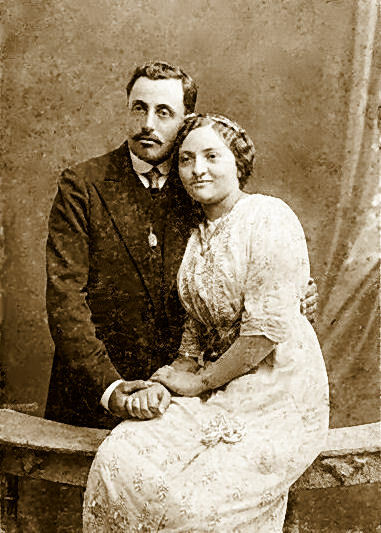 Giving this card for the long and eternal memory to my dear brother and sister-in-law Fishel and Golda Gerber from their loving brother Yankel Gerber, April 18, 1914. Yankel Gerber and his Wife, no. 2: undated; Photo studio of P.B. Rozval, Odessa. Rishelievskaya № 28. Giving this card to my dear uncle David and aunt Fenya for the good and long memory. From their nephew Yankel Gerber, April 18, 1914. [Strizhevskii Ionah Shimanovich], Odessa, Rishelievskaya [str. 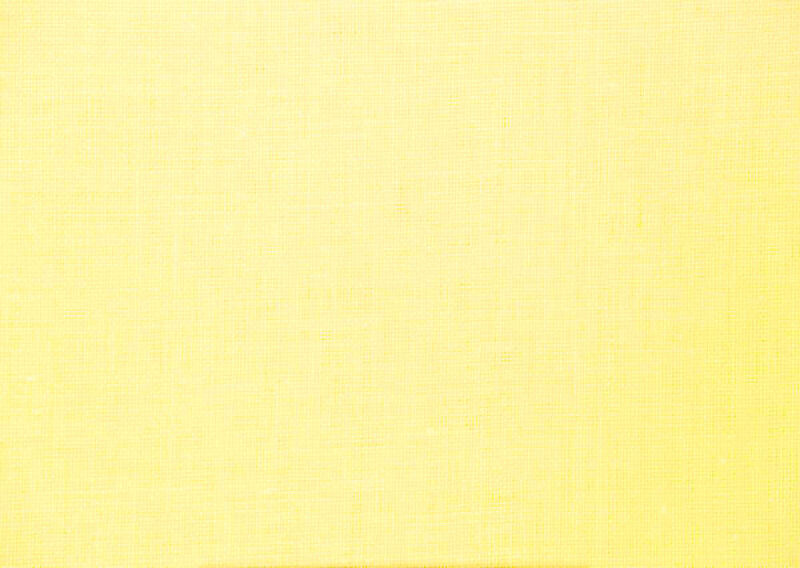 ], 35. This is I, your nephew Rekhiel with my wife and child named Yite. 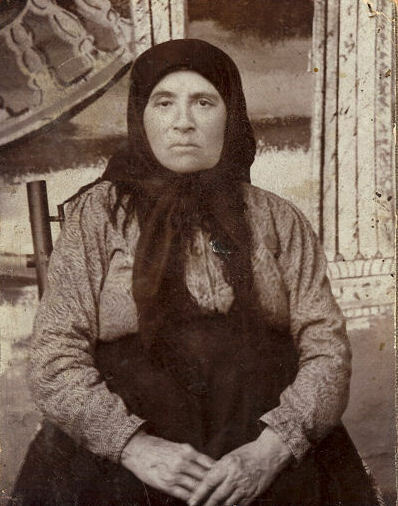 Freyda Barsatski, Golda's Mother: undated. 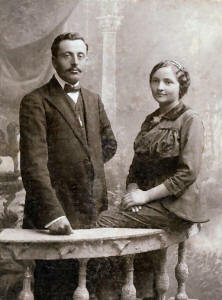 To my son-in-law and my dear daughter Golda and Fishl (Herman). Signed Rajze Schechet. 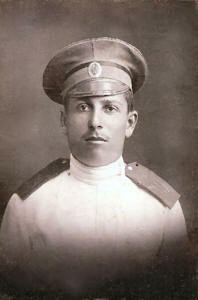 Yankel Gerber, without moustache: undated; Kamenez Podlaskiy; Kodesh Studio. 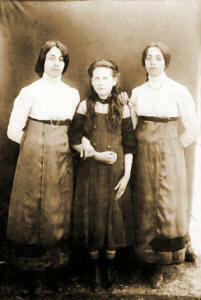 Golda and her Sisters: undated. Photo studio of Ed. Ed. 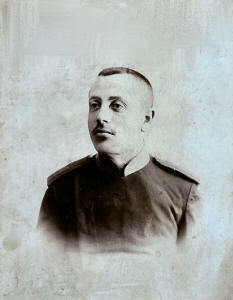 Genselli [Eduard Eduardovich], who lived in Liflandia in the town Verro (now Võru, Estonia). 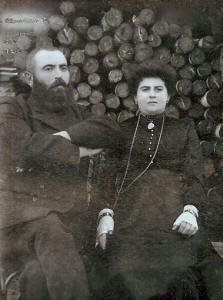 Golda's Brother Hyam Schechet and his Wife Eta Riva. Photo taken in 1908. Golda at Seventeen: undated. The 28th of August 1894, date of birth. Photograph from Golda's Family's Wedding: undated.